Arthritis more commonly referred to as ‘wear & tear’ is common and part of the ageing process. Some people report stiffness, aches and pains in some cases. There is no cure for Arthritis but the good thing is that a large number people we see with who come to us with a diagnosis of Osteoarthritis (OA) benefit by engaging in one of our treatment and exercise packages which include Functional and Joint by Joint assessment, Hand on Treatments and a Strength,Core, and Balance programme, with a emphasis on Weight management by promoting a healthier lifestyle. Every person is unique and will have different requirements to help them reduce their pain and to get them back on track. Our OA treatment packages use a combination of hands on treatments, exercise, weight management and education. 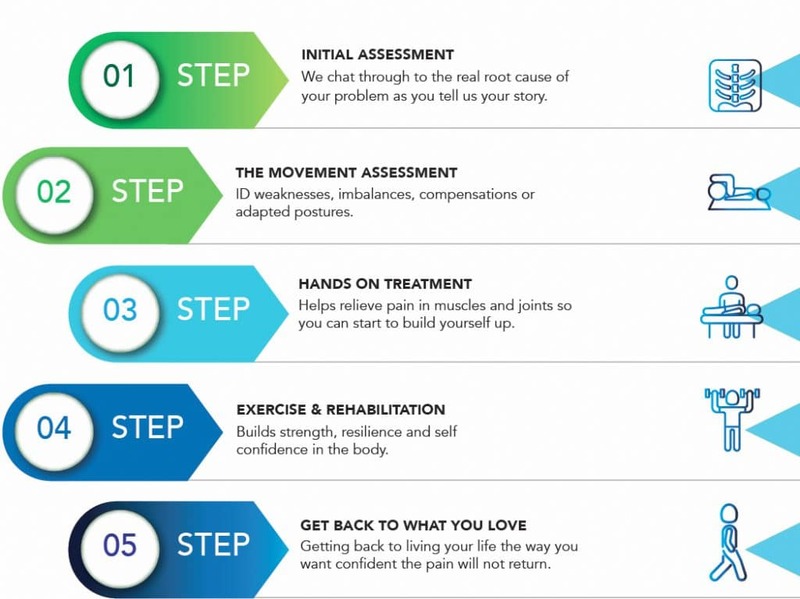 This well balanced and reliable approach helps you understand how your OA is affecting you so that you can avoid aggravating activities helping to break and ultimately stop the cycle of pain. Meanwhile your tailored exercise programme will have commenced which focuses on strengthening up the weak areas so that the troubled joint doesn’t have to bear the brunt to the same extent. People find this approach effective to significantly reduce pain and often can avoid surgery completely or in other cases delay it for a considerable time to a time that suits you, your family and your lifestyle. can be extremely painful, quite debilitating, leaving you feeling weary, lacking in sleep and worried that you will never see a normal day every again. There are many different presentations of nerve pain but the most common are ARM PAIN which typically is referred from structures in the neck or LEG PAIN (back of leg) which is commonly referred to as Sciatica. This sort of pain can be extremely debilitating even with medication but thankfully can be treated with hands on techniques, exercises and sensible advice. What you need to know is that Nerve pain can be helped by physiotherapy treatments and specific exercises and it is not a thing that you have to live with for the rest of your life as we so often hear people say. Nerve Pain is however more challenging to treat as it can be often be easily aggravated, particularly during the earlier stages of the recovery process and requires attention to detail when it come to the assessment, treatment techniques and rehabilitation exercises used so that you get free from pain and get back to doing work and hobbies with confidence without the pain coming back and you having to ‘live with it’. Upper / Lower Leg Sliders?